civil damages. The civil damages is calculated as ten times the price of the property. However, there is a minimum cap of at least $50 and a maximum cap of not more than $200. For example, if the item allegedly taken and recovered in salable condition had a sales price of $1, the person who committed the act of shoplifting the $1 item would be responsible to pay the merchant $50 even though ten times the price of the item is only $10. Likewise, if the item allegedly taken and recovered in salable condition had a sales price of $500, the merchant can seek $200 as the civil damage based upon the maximum allowable cap. What happens if the civil demand is not paid? 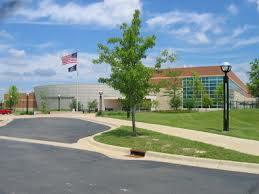 The merchant can institute a civil lawsuit. The civil lawsuit can be instituted in a small claims court, a district court, or any other court of competent jurisdiction according to MCL 600.2953(6). If a civil action is commenced, not only can the merchant seek damages as indicated above, in addition the merchant can seek the costs of bringing the action (for example: filing fees; witness fees; etc.) and reasonable attorney fees (see MCL 600.2953(2) and (4)). Whether or not the cost of an attorney coming from out of state to seek civil damages (for example: airline tickets; hotel accommodations; meals; etc.) will be awarded is not clear, but it may be possible. There is no case law from the Michigan court of appeals or Michigan Supreme Court to provide guidance. If the merchant elects to bring a civil suit, an out of state attorney may have local counsel that he/she works with. 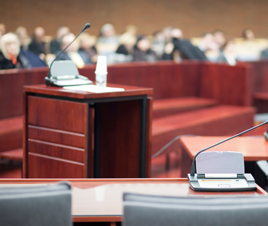 In any event, reasonable attorney fees may total thousands of dollars. Will paying the civil demand help me avoid being prosecuted for a crime of retail fraud? No. A city attorney or other prosecuting authority with jurisdiction of the matter is not prevented from commencing a criminal prosecution and will makes its own independent decision whether or not to prosecute you if a ticket was issued or a police investigation occurred. Paying the civil demand in a timely manner only prevents the commencement of a civil lawsuit by the merchant. If the civil demand is paid as outlined above the merchant cannot seek recovery of the costs of bringing the action and reasonable attorney fees (see MCL 600.2953(5)). If I am not guilty of retail fraud do I have to pay the civil demand? No. However if the civil demand is not complied with within 30 days after the demand letter was mailed, the merchant has the option to initiate a civil lawsuit. It is important to remember that the burden of proof in a civil lawsuit (preponderance of the evidence) is lower than the burden of proof in a criminal retail fraud trial (guilt beyond a reasonable doubt). MCL 600.2953(2) states that a person is not obligated to respond to the civil demand letter (for reasons that they are not guilty or otherwise), however a person’s claim that they are not guilty of shoplifting from the merchant does not prevent the merchant from commencing a civil lawsuit. I am concerned that if I pay the amount it may be received as an admission to a crime that could be used against me in a criminal prosecution. What should I do? Anytime you are accused or charged with a crime you should hire an experienced criminal defense lawyer to represent you. You should follow the advice of your lawyer, who will be more familiar with the facts and circumstances of your case, with regard to this issue. If my child stole from a store and I receive the civil demand letter, am I responsible to pay the civil demand? Potentially yes. According to MCL 600.2953(7) the merchant can seek and recover damages against the parent or parents of an unemancipated minor who commits or attempts to commit retail fraud against the merchant that still lives with one or both parents. If I receive a civil demand letter and do not pay the civil damage amount and/or do not respond, what are the chances that I will be sued? This question cannot be answered here. Every merchant has their own internal policies and procedures to address this circumstance. Any civil lawsuit that commences will occur at least 30 days after the civil demand letter is sent, but not later than the expiration of any applicable statute of limitations. What are the potential defenses to not paying the civil demand? The defenses are that the person is not guilty of committing retail fraud, a demand letter was not mailed, the demand letter did not provide sufficient notice (see MCL 600.2953(2) which provides what the civil demand letter needs to include); a police report was not filed (see MCL 600.2953(8), and/or the price of the item was not clearly and conspicuously indicated (see MCL 600.2953(9) and MCL 445.353)). Generally, major retail chains (not mom and pop stores) are required to evaluate the validity of the claim before they can send a civil demand letter (See MCL 600.2953). What should I do if I am accused of or charged with Retail Fraud? 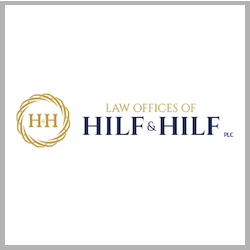 When accused of or charged with Retail Fraud or any shoplifting related offense in Michigan you need a legal expert that specializes in retail fraud cases. 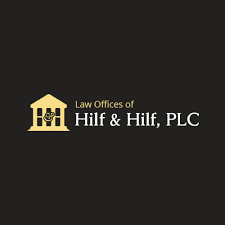 Attorney Daniel Hilf of Hilf & Hilf, PLC has the experience, expertise, and ability to help you receive the best results given your circumstances and the facts of your case. He can be reached at 248-792-2590.